Every day organizations around the world launch change initiatives—often big, expensive ones—designed to improve the status quo. Yet 50 to 70 percent of these change efforts fail. A few perish suddenly, but many die painful, protracted deaths that drain the organization's resources, energy and morale. 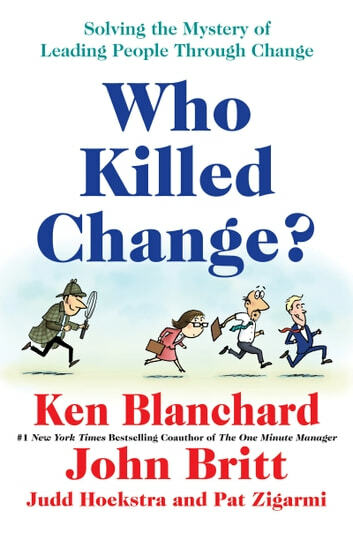 Who or What Is Killing Change? That's what you'll find out in this witty whodunit. The story features a Columbo-style detective, Agent Mike McNally, who's investigating the murder of yet another change. One by one, Agent McNally interviews thirteen prime suspects, including a myopic leader named Victoria Vision; a chronically tardy manager named Ernest Urgency; an executive named Clair Communication, whose laryngitis makes communication all but impossible; and several other dubious characters. The suspects are sure to sound familiar and you're bound to relate them to your own workplace. In the end, Agent McNally solves the case in a way that will inspire you to become an effective Change Agent in your own organization.A step-by-step guide at the back of the book shows you how to apply the story's lessons to the real world. Key questions help you evaluate the health of your organization's change initiatives, and you'll learn best practices for enabling and sustaining the desired change. 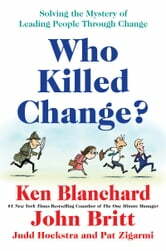 Books related to Who Killed Change?